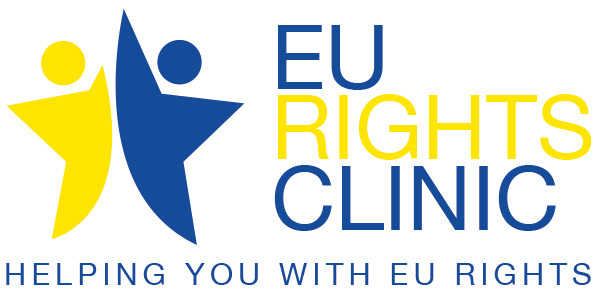 WHO: We are an open network of civil society organisations, legal practitioners, policy makers, trade unionists and individual citizens who stands in solidarity to defend and enhance the right to free movement of any European citizen, especially of those expelled from Belgium. We believe that these expulsions are an abuse of the EU directive 2004/38/EC on free movement and residence rights, and of the EU Regulation 883/2004 granting social security rights for those who move from one Member State to another. PROVIDE INFORMATION: We are a first contact and information point for people who have been expelled. We also provide information for any person concerned about this practice. RAISE AWARENESS: We raise awareness and denounce this behaviour, as a serious threat to the European integration process, and because what happens to one can happen to all. ORGANISE COLLECTIVE ACTIONS: Collective actions are needed to oppose this Belgian practice. Expelled citizens cannot be left aside and stand alone against the State and its bureaucracy. In parallel, collective actions are needed to demand a real social Europe, a Europe for its citizens, which aims at the harmonisation of social policies. Such harmonisation is essential to grant equal treatment to all people moving and residing in another Member State, regardless of their country of origin and of destination. WHEN and WHERE: We gathered together in June 2014 in Brussels because the numbers of administrative, arbitrary and discriminatory expulsions reported had increased dramatically over the past few years: in 2010, there were a few hundred cases, by 2014, 5.571 EU citizens had been expelled from Belgium, justified by arbitrary rules and misinterpretation of the EU Directive 2004/38/EC. WHY: We believe that no citizen, no human being can be defined as an ‘excessive burden’ on the welfare State. We stand together in solidarity in favour of the principle that every citizen who moves within the EU – European or third-country national – should enjoy the same rights and protections. We oppose the idea of this confrontational, other than integration-oriented, attitude of Belgium, which opens the way for any other Member State to restrict free movement of EU citizens. Free movement of capital, services and goods, must go hand in hand with a real free movement of citizens, as a vital prerequisite for the European dream to live. HOW: Our aim is to cooperate to build a network and a website to exchange and publish any useful information such as legislation, legal cases, articles, and experiences of other people who received an expulsion decree, which could help other expelled people or people at risk of being expelled to solve their problem. Through this website we also want to raise awareness about the problem, putting in place any action that could help to move the political scene and the Institutions at all levels and everywhere in Europe: petitions, letters, Parliamentary Hearings/Questions, demonstrations, documentaries, interviews, or any other project/idea is welcome. For those interested in participating, please contact us at info@europe4people.org or through our contact page. Do you want more information about registration formalities for EU citizens and their family members in Belgium? Click here for a guide on how to register your residence in Belgium.